The South American World Cup qualification group consists of 10 teams with only for reaching the finals automatically. The fifth spot is awarded to the team if they managed to come through the play-offs. It is always a gamble and Uruguay are looking to avoid this position. Hence, the team needs the assistance of the best players in the squad in order to overcome the likes of Argentina and Paraguay in back-to-back games. It is easier said than done since Barcelona superstar Luis Suarez, who is widely regarded as the best player in the team, has been struggling with injuries over the last few weeks. He suffered the injury in the Super Cup action against Real Madrid. Yet, Tabarez appears to be relatively confident about his inclusion in the squad. Just like the rest of the Barcelona teammates, Uruguay watched Luis Suarez train in the team ahead of the game with Deportivo Alaves on Saturday. 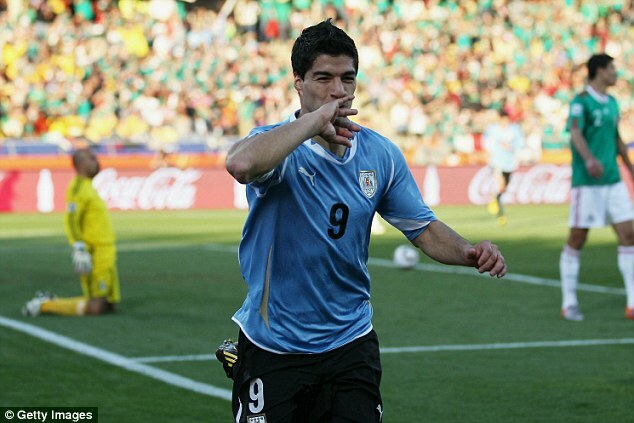 Even if he does not make the start, Suarez is expected to feature at some point in the game. This would act as the impetus for Tabarez to get him back into the national team squad faster than expected. Suarez was expected to miss around four weeks of action with the knee injury.